The elbow is a junction between the forearm and the upper arm. The elbow joint is made up of 3 bones namely the humerus bone in the upper arm which joins with the radius and ulna bones in the forearm. The elbow joint is essential for the movement of your arms and to perform daily activities. The head of the radius bone is cup-shaped and corresponds to the spherical surface of the humerus. The injury in the head of the radius causes impairment in the function of the elbow. Radial head fractures are very common and occur in almost 20% of acute elbow injuries. Elbow dislocations are generally associated with radial head fractures. Radial head fractures are more common in women than in men and occur more frequently in the age group of 30 and 40 years. 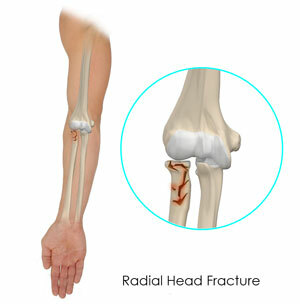 The most common cause of a radius head fracture is breaking a fall with an outstretched arm. Radial head fractures can also occur due to a direct impact on the elbow, a twisting injury, sprain, dislocation or strain. The symptoms of a radial head fracture include severe pain, swelling in the elbow, difficulty in moving the arm, visible deformity indicating dislocation, bruising and stiffness. Your doctor might recommend an X-ray to confirm the fracture and assess displacement of the bone. Sometimes, your doctor might suggest a CT scan to obtain further details of the fracture, especially the joint surfaces. The treatment of a fracture depends on the type of fracture. Type 1 fractures are usually very small. The bone appears cracked, but remains fitted together. The doctor might use a splint (casting) to fix the bone and you might have to wear a sling for a few days. 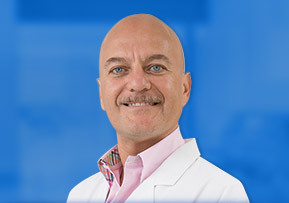 If the crack becomes intense or the fracture gets deep, then your doctor might suggest surgical treatment. Type 2 fractures are characterized by displacement of bones and breaking of bones in large pieces and can be treated by surgery. During surgery, your doctor will correct the soft-tissue injuries and insert screws and plates to hold the displaced bone together firmly. Small pieces of bone may be removed if it prevents normal movement of the elbow. Type 3 fractures are characterized by multiple broken pieces of bone. Surgery is considered the compulsory treatment to either fix or to remove the broken pieces of bone, sometimes including the radial head. An artificial radius head may be placed to improve the function of the elbow.